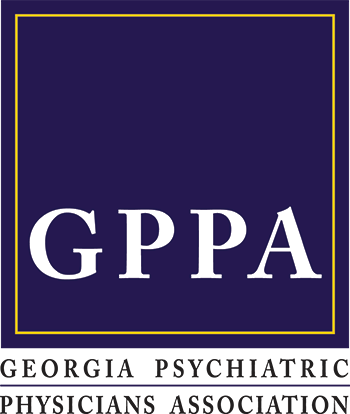 Georgia is home to a number of respected organizations and valuable resources that provide services and advocate for patients and families living with mental illness. Search for resources in your area that can offer professional help to adults and children/adolescents in crisis. Provided by the Georgia Division of Mental Health, Developmental Disabilities, and Addictive Diseases (MHDDAD). Provides treatment and support services to people with mental illnesses and addictive diseases, and support to people with mental retardation and related developmental disabilities. MHDDAD serves people of all ages with the most severe conditions and ones that are often long-term. The purpose of NAMI Georgia is to relieve the suffering and improve the quality of life for mentally ill Georgians and their families. This is accomplished through support groups, public policy advocacy, and community education aimed ad improving resources, services, and knowledge by reducing misinformation and stigma related to mental illness. Mental Health America of Georgia works to enhance the mental health of all Georgians through education, outreach, and advocacy. The mission of the Georgia Mental Health Consumer Network is to promote recovery from mental illness through advocacy, education, employment, empowerment, peer support, and self help. Georgia Parent Support Network is dedicated to providing support, education, and advocacy for children and youth with mental illness, emotional disturbances, and behavioral differences, and their families. Elk River Wilderness Challenge, located in Huntsville, Alabama, is a short-term (8-week) therapeutic intervention program for teens struggling with mental illness, behavioral problems, learning disabilities, substance abuse, significant family dysfunction, and an number of other issues. The Fuqua Center is dedicated to improving older adults' access to treatment and the public's understanding of depression in older adults in order to de-stigmatize and eliminate discrimination associated with mental illness. Residential treatment center offering a variety of therapeutic and educational services for children and families. Services are provided to young people from 6 to 21. The Phoenix Center provides services for adults, children, adolescents, and families in Middle Georgia suffering from psychiatric disorders, addiction, or developmental disabilities. Serves the counties of Houston, Peach, and Crawford, Georgia. Private, not-for-profit provider of mental health and addiction services located in Smyrna, Georgia. Treatment and recovery center for people with bipolar disorder, depression, and schizophrenia located in Atlanta, Georgia. Offers treatment programs to assess and treat individuals who are addicted to alcohol and other mood altering chemicals and who also may have coexisting psychiatric disorders.